Businesswoman Janet Lim Napoles, was sentence “Guilty” of Makati Regional Trial Court Branch 150 Tuesday after facing serious illegal detention case filed by the camp of whistlevblower pork barrel Benhur Luy. In this regard , Napoles was sentenced of "reclusion perpetua" , or imprisonment for up to 40 years . she also charged P50,000 in moral damages and P50,000 in civil damages . Janet Lim Napoles and his brother Reynald Jojo Lim was charged for allegedly detaining their cousin and former employee, Benhur Luy within three months . Luy was rescued by authorities in March 2013, Which detained by her cousin Napoles, after discovering that Luy, got P5.5 - million loan using her name without her permission. Napoles was also accused Luy allegedly stole from her worth of P300,000 that supposed to be deposited into her account. But the camp of Benhur Luy, insisted that he was detained by her cousin Napoles, in order to not reveal the illegal transactions he knows about Napoles business transaction. This includes some lawmakers who collaborated allegedly using fake foundation to make profit of the Priority Development Assistance Fund (PDAF ) reaching P10 billion. Afterwards, Benhur Luy became the primary whistle blower pork barrel scam and became witness of the government by filing of graft and plunder charges against Napoles and some lawmakers which filed in the court. In August of 2013, Janet Lim Napoles and his brother Reynaldo Lim was given an arrest warrant in the case charged for illegal detention. Janet Napoles, hide from the law, upon knowing that she will be arrested but decided to surrendered after a few weeks of hiding. While his brother Reynaldo Lim, is still at large But authorities keep looking for him till he finally caught. The sentence “reclusion perpetua” charge for Janet Napoles, is only for the case of illegal detention for his cousin Benhur Luy. Charges for PDAF scam are not related for the current decision by the court. Till now the case are still at pending. 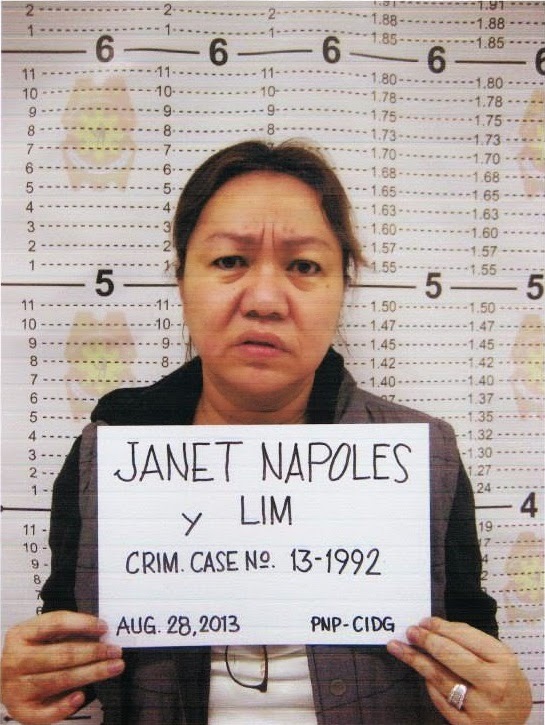 No Comment to " Janet Lim Napoles Charged Of 40 Years In Jail Imposed By The Court For Illegal Detaining Benhur Luy "